Two sisters from St Helens are hoping to be crowned world champions in the judo. Amy and Bekky Livesey will represent Great Britain at the World Championships in Hungary next week. And they're continuing a proud family tradition in the sport. David Chisnall has been to meet them. Three-time Olympic swimmer Fran Halsall has decided to hang up her goggles and step away from the pool. 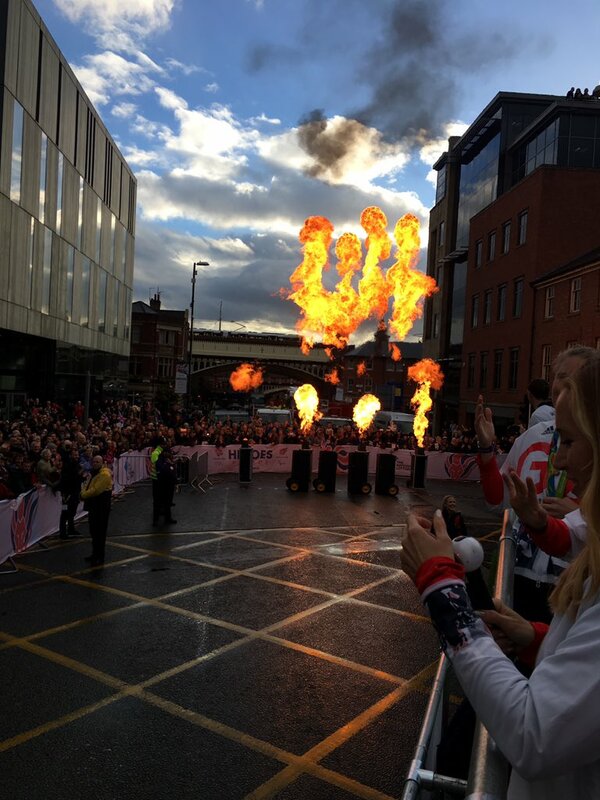 Manchester's Olympic and Paralympic parade has been hailed a huge success. 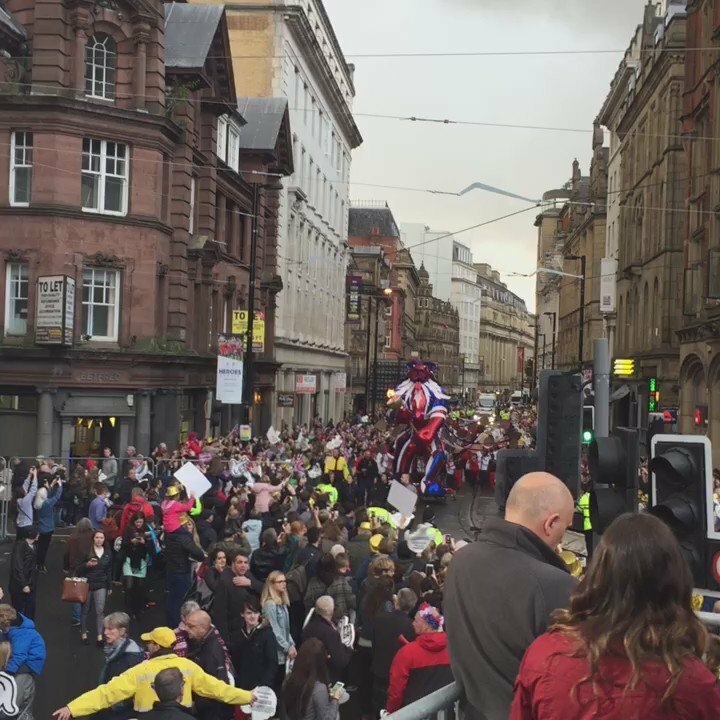 Tens of thousands of people watched as 350 athletes took part in the procession through the city centre followed by a civic reception at the Town Hall. Later today London will stage a second celebration at Trafalgar Square. The Culture Secretary Karen Bradley says the capital will find it hard to beat Manchester's celebration. 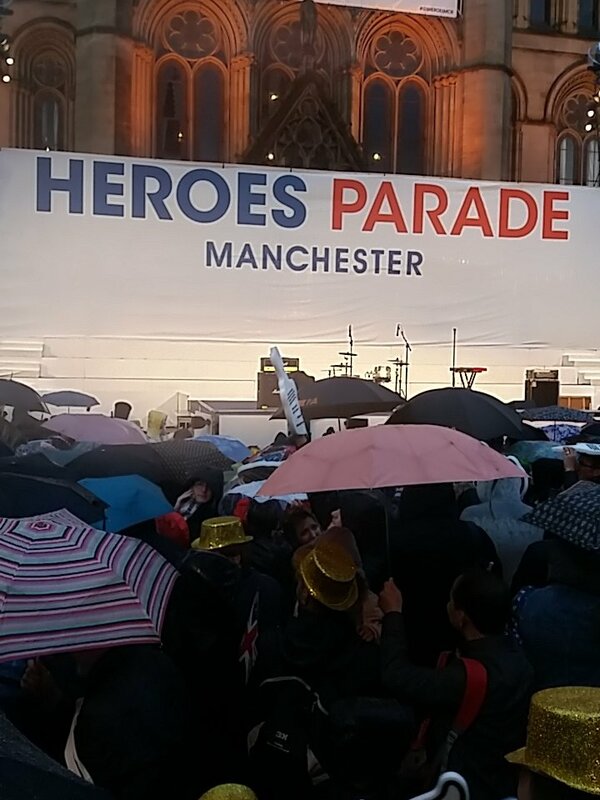 Athletes from across the country say they have been overwhelmed by the support they've received at the Olympic and Paralympic Heroes Parade in Manchester. Mat Whitlock, who won two gold medals in Rio wowed the crowds when he showed off his skills during the Team GB parade. 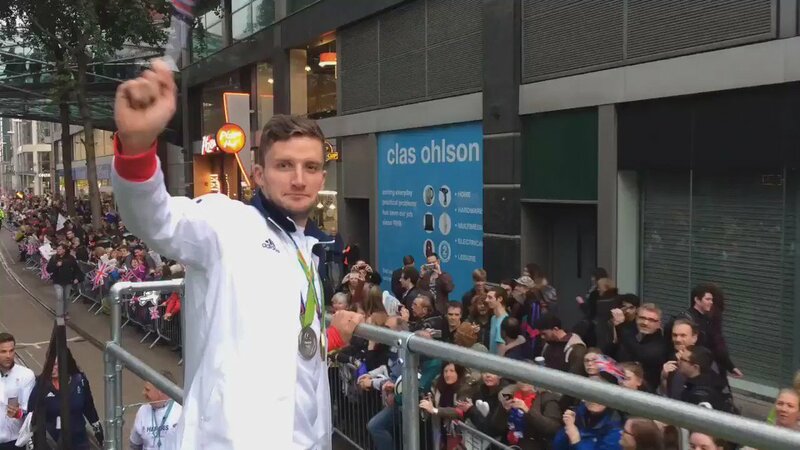 Cycling's gold and silver winning cyclist Callum Skinner shared his joy at the crowds on social media. The leader of Manchester City Council, Sir Richard Leese, said Manchester was one of the "great sporting cities" with the 2002 Commonwealth Games held in the city providing the "foundation stone" for its Rio successes. He said that 64 Manchester-based Olympians and Paralympians won a total of 62 individual and team medals, and said if the city was a country it would have placed fourth in the world in the medal table. Lord Coe, chairman of the British Olympic Association, told the Town Hall audience he wanted to add his "mountainous gratitude" to the "rousing reception you have just received by the great people of Manchester". 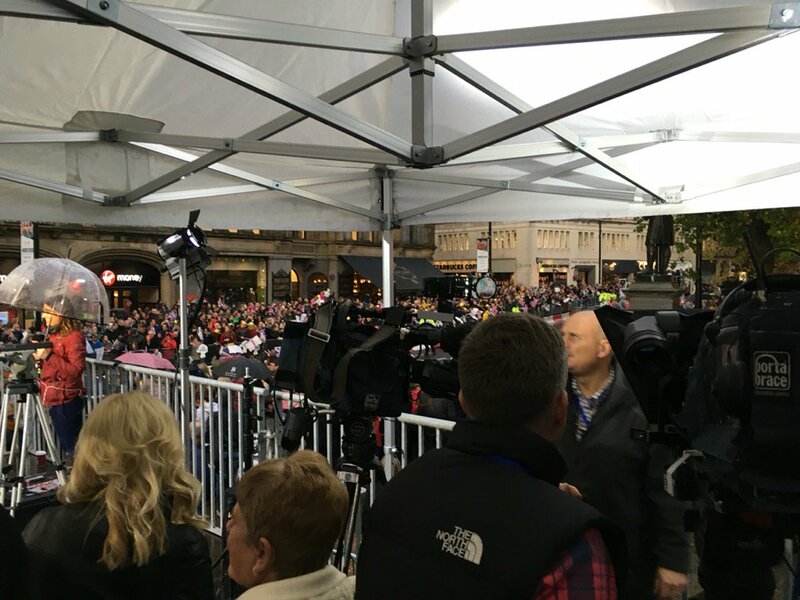 So what's it like for our sporting heroes out on those streets lined with thousands of people? David Chisnall was on board the open top bus with our gold medal winning women's hockey team. If Rio was the moment of glory for the athletes, then today is for the families. 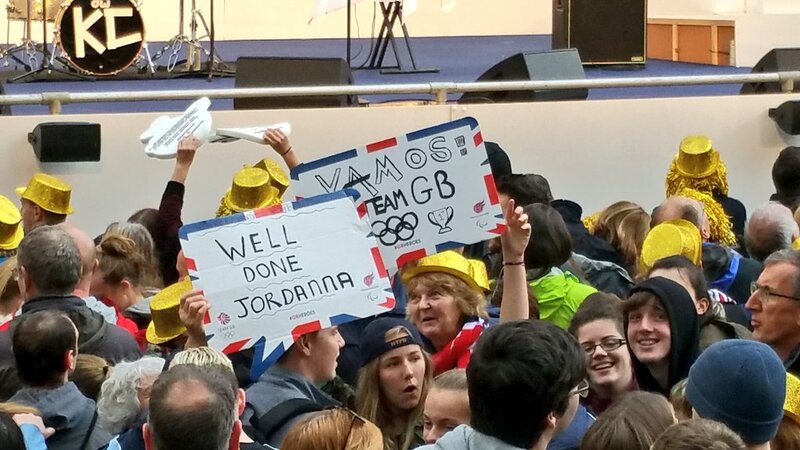 Many couldn't fly out to Brazil but hundreds of them are in Manchester to cheer on their loved ones. So what's it like to have a child become a sporting icon? Chris Hall took two medallists back to their mums to find out. Rio 2016 silver medal-winning rower Katherine Grainger has thanked fans for turning out to support the "heroes parade" in Manchester. The Kaiser Chiefs made a surprise appearance standing in for X-Factor's Olly Murs.